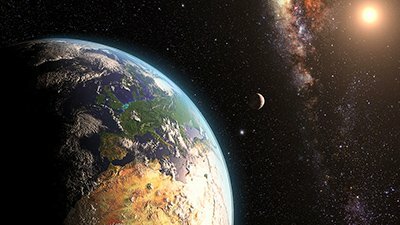 After posting a review on the ambitious new $17 million the Evolving Planet permanent exhibit at the Field Museum in Chicago, here is a more in-depth examination of the exhibit. As AiG promised last month after posting a review on the ambitious new $17 million the Evolving Planet permanent exhibit at the Field Museum in Chicago, Illinois, here is a more in-depth examination of many of the exhibits. The challenge we faced in writing this review is the fact that Evolving Planet has attempted to trace the evolution of life from four billion years ago to the present, and thus with literally several dozen museum exhibits in that timeline, it is difficult to write a review suitable for the web (i.e., one that is not so long that eyes get blurry reading the article on your screen) but is still somewhat thorough. For the sake of brevity, we will concentrate on reviewing those displays which will most likely grab the attention of the average museum visitor (e.g., the size of some exhibits, the dogmatism which is often presented, the old arguments still being used by evolutionists, etc. 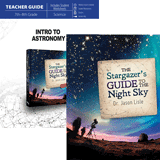 ), and for in-depth teaching, we will link to several articles that will treat topics with more thoroughness. The Field Museum in downtown Chicago is an institution well known for world-class displays, such as the famous T. rex skeleton called “Sue.” In March, it opened an impressive permanent exhibit called The Evolving Planet. 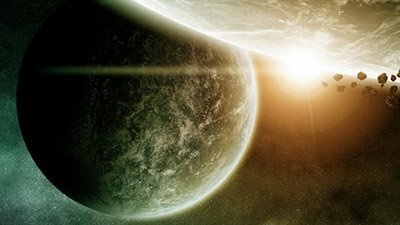 Evolving Planet will no doubt impress its visitors with what appears to be a cornucopia of evidences for evolution. 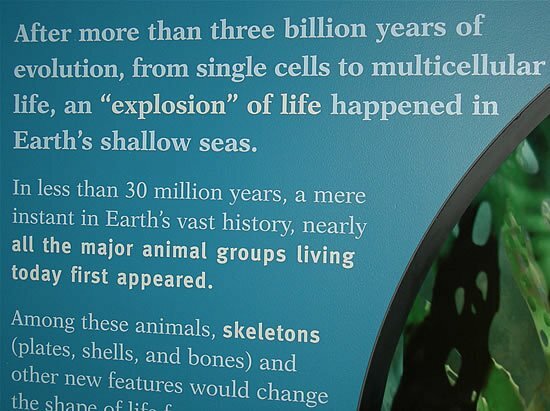 Sadly, most impressionable young people will probably leave the exhibit with the idea that the museum has proven “molecules-to-man” evolution. Like AiG’s future Creation Museum being built near the Cincinnati Airport (just a five-hour drive from the Field Museum), Evolving Planet attempts to trace the story of the history of life on earth. 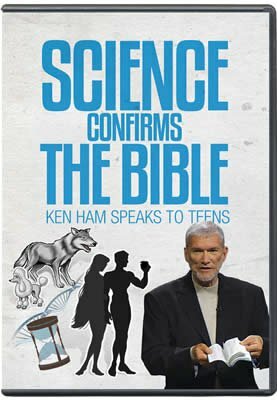 Of course, Evolving Planet starts 4.5 billion years ago, while AiG’s museum begins with the Bible’s history of the world starting with Genesis and continuing to Revelation … over only a few thousand years. Slide 1: Indeed, does “all available evidence” support the evolution worldview? And, by the way, what is the true nature of evidence? 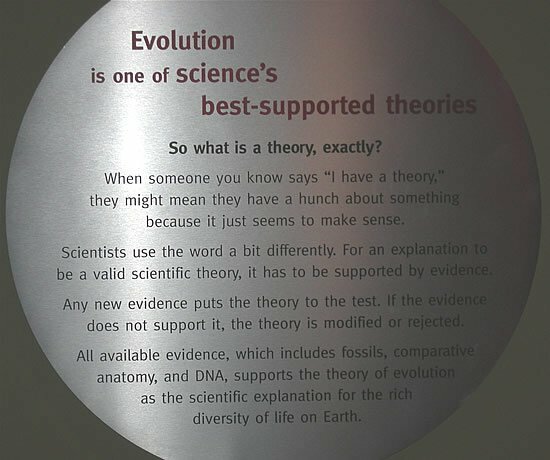 Creationists and evolutionists all have the same evidence—the same facts. 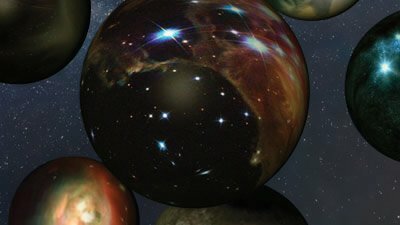 We all have the same universe, the same fossils, etc.—the facts are all the same. What then is the difference? 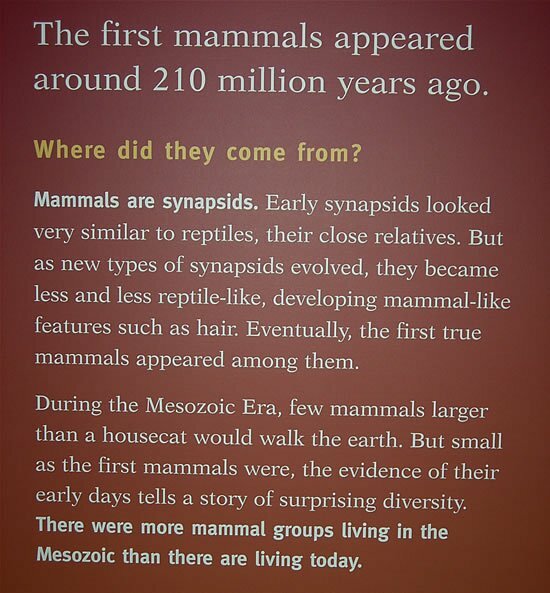 Slide 6: According to the evolutionary model, reptiles gave rise to mammals about 210 million years ago. While there are some supposed “mammal-like reptiles” that evolutionists often like to parade, each species of reptile that possesses alleged mammal-like characteristics appears abruptly in the fossil record. 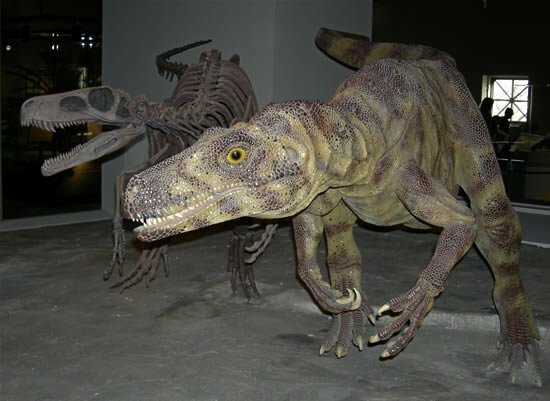 Slide 7: This well-done dinosaur model (comparable in quality to AiG’s dinosaur models being prepared for the 2007 opening of the Creation Museum) is based on the actual skeleton found to its right. Because there is virtually no text associated with this fossil and model, we can’t resist making the observation that this is one of the finer exhibits in Evolving Planet. Slide 8: Dinosaurs are prominent in Evolving Planet. In fact, perhaps the middle third of Evolving Planet features them, and the skeletons are impressive. They are by far the most eye-catching aspect of the entire exhibition. Indeed, evolutionists probably use dinosaurs more than any other teaching tool nowadays to present their worldview. As such, dinosaurs have become something of an icon for them. However, dinosaurs are increasingly being used by creationists to promote biblical history, and that will be the case for the upcoming Creation Museum and its many dinosaur models (some of them will be animatronic). 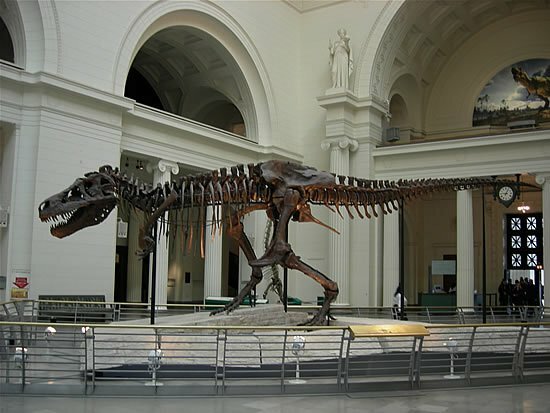 In this photo, you see the famous “Sue” skeleton, a Tyrannosaurus rex the Field Museum purchased a few years ago at a cost of several million dollars. 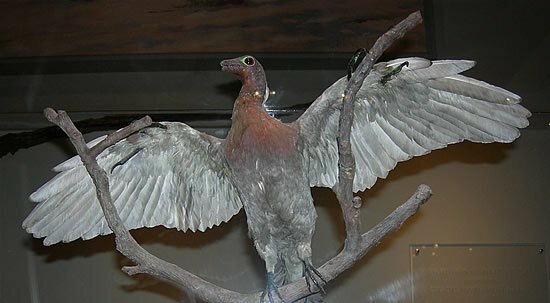 The Evolving Planet exhibition sits on the second floor of the Field Museum and overlooks Sue. By the way, it’s clear that Sue was fossilized in a flood, yet evolutionist paleontologists would dismiss this flood being the global one of Noah’s day. 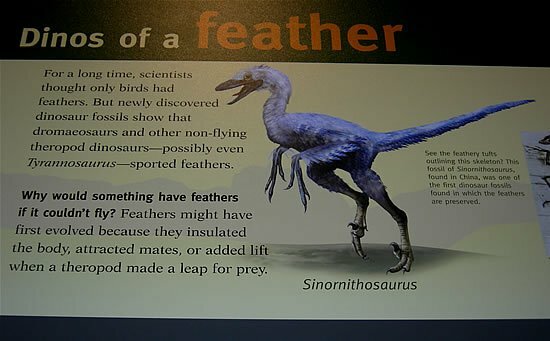 Slide 9: Birds are confidently described as dinosaurs in the Field Museum. In the past several years, this belief has become a mantra among most evolutionists, and it even shows up in popular films like the Jurassic Park series. See “Bird Evolution: Discontinuities and Reversals” for a refutation of the supposed connection between dinosaurs and birds. Slide 11: In the Field Museum, the molecule of heredity known as DNA is presented as one of the most powerful evidences for evolution. As we have often pointed out on this website, however, genetics and evolution are enemies. In fact, while Darwin was claiming in the 1800s that animals could change into other creatures, Mendel (a careful researcher) was showing that characteristics remain constant. 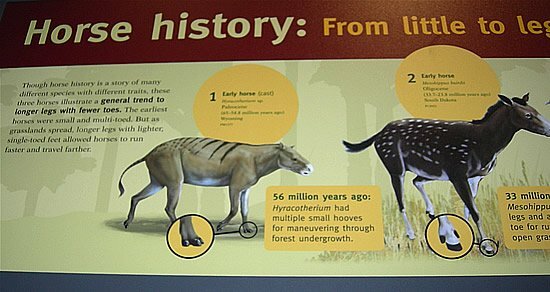 Slide 12: The Field Museum devotes considerable display space in describing how creatures are preserved as fossils. 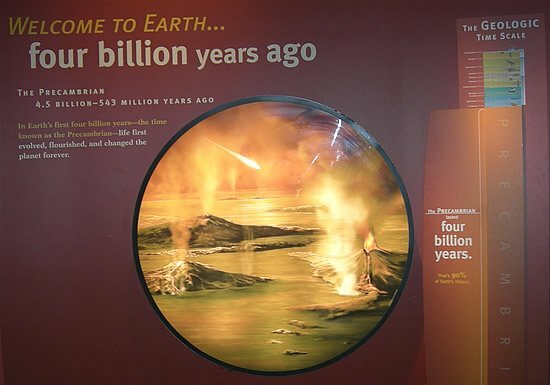 But (unwittingly), it displays examples that really offer a better explanation of how most fossils have formed: through a catastrophic, global Flood (rather than slow, gradual processes associated with uniformitarian geology that the museum presents). In this stunning display shown here, a fish is being swallowed by another—caught in the action. Such fossilization, of course, must happen quickly, or the two fish will rot. Billions of fish are found buried throughout the world, which strongly suggests burial during a massive Flood (and is thus consistent with the worldwide Flood described in Genesis). 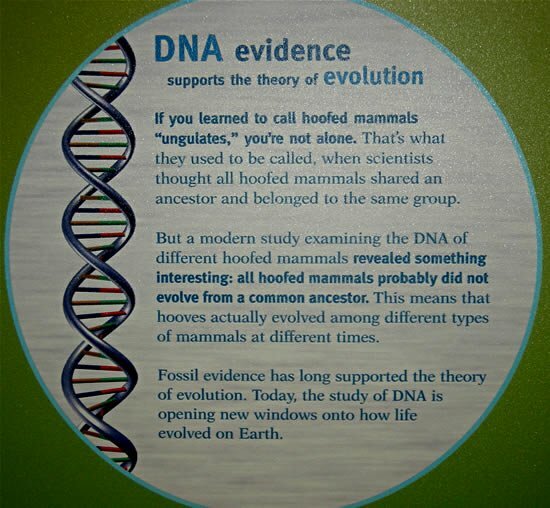 Slide 13: The famous “horse evolution series,” which has been used in school textbooks for decades as evidence of evolution, is presented somewhat hesitatingly in Evolving Planet. Yet while it is not shown in this display as a clear progression that has been often presented in science books as proof for evolution, the impression is nevertheless given that there is an evolutionary series of horse development. 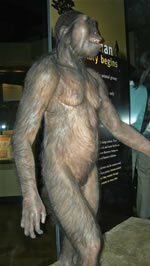 Creationists would counter with examples like a three-toed Neohipparion and one-toed Pliohippus that were found buried in Oregon. They were discovered in the same layer, which seems to run counter to the idea that one evolved from the other. See “Horse Non-Sense” to find out more about the largely discredited “horse series” of evolution. Slide 15: The Evolving Planet ends with this colorful and almost religious-feeling room, featuring a quote from Charles Darwin, the high priest of evolution. 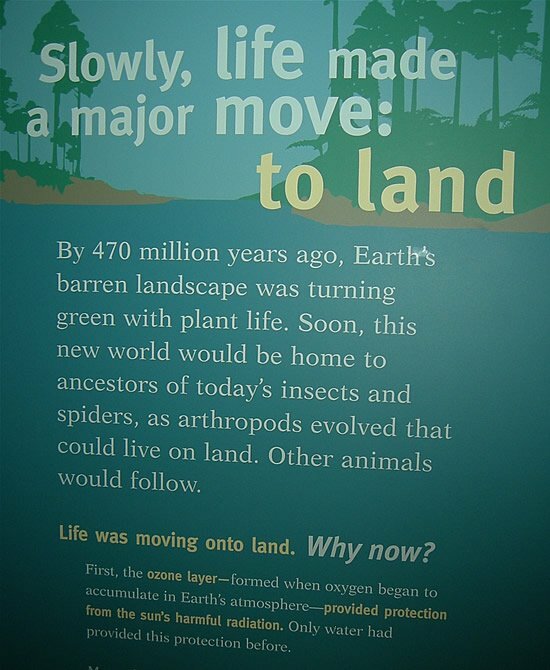 My two sisters (both believing in evolution at the time) and I saw The Evolving Planet exhibit at the Field Museum. I was prepared for it thanks to your website. I am happy to announce that with your preparation, my sisters left the exhibit thinking that this evolution thing is someone’s wild imagination. We looked at each exhibit, read each description and questioned it to ourselves. Before long, they were pointing out the miscommunication and the lack of evidence to me. I am also happy to report that I overheard several visitors making the same types of comments we were making. Thank you for being there and making a difference. 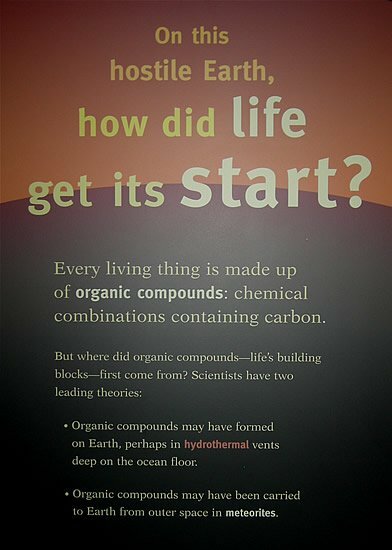 This massive new exhibition at the Field Museum joins the ranks of other science museums that are now engaged in an increasingly intensive effort to indoctrinate hundreds of thousands of visitors in a belief in molecules-to-man evolution. 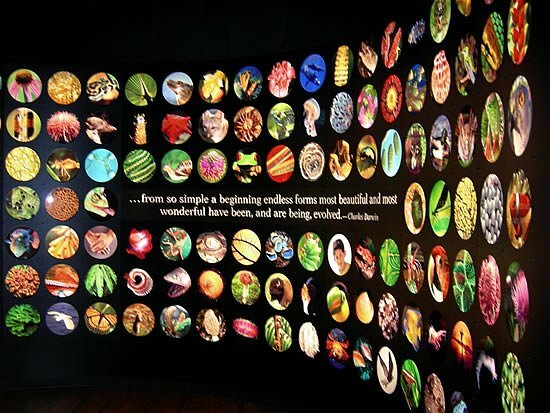 New York City’s American Museum of Natural History, for example, has a similarly large exhibition (called Darwin) that runs through the end of summer (and then goes on the road, including to Chicago), and it will eventually reach even more Americans with the evolution message. As an antidote to museums that are presenting a false and hopeless view of earth history (i.e., a struggle for survival in a purposeless world), the future Creation Museum will declare that the Bible is true from Genesis to Revelation, and that its gospel message offers hope for those who believe in the Creator of the universe, Jesus Christ ( Colossians 1:15–20 ). See CreationMuseum.org and find out more about AiG’s one-of-a-kind teaching and evangelistic center, to open in the spring of 2007.